A good day to all my fellow Ratsunites! 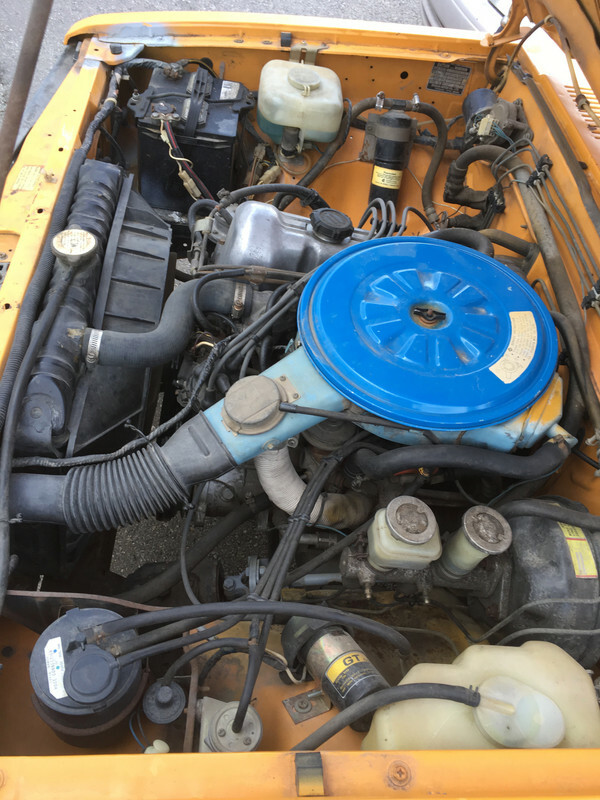 Finally, with determination and a little luck, I'll definitely share with you some pictures of my 1979 720KC and hopefully through its transition periods. But first, I shall ramble and bore you with new buyers consequence. 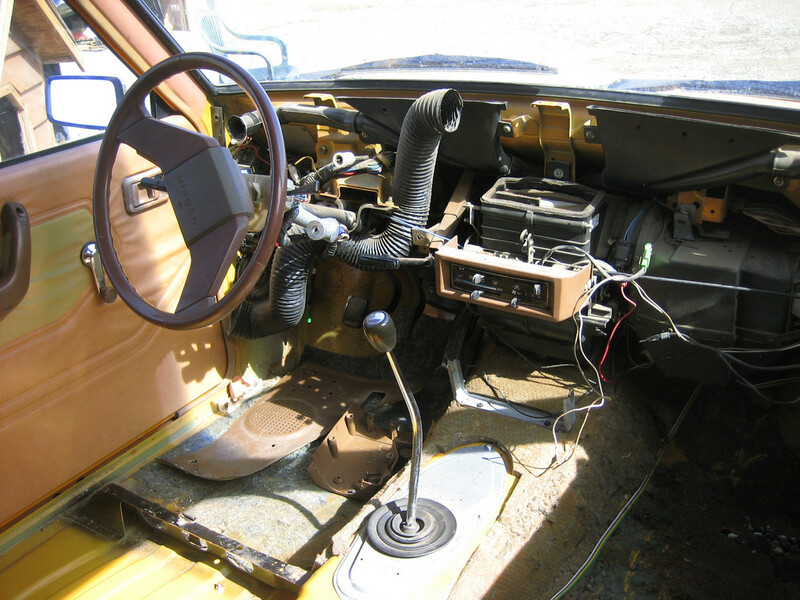 I was under the impression this truck was indeed a 1980's built vehicle, but when the dash panel had been detached for clock issues, it was apparently the beginning of a long and drawn out adventure. I began to notice several subtle things were not perceivably acute to the indicated year on the Bill of Sale. 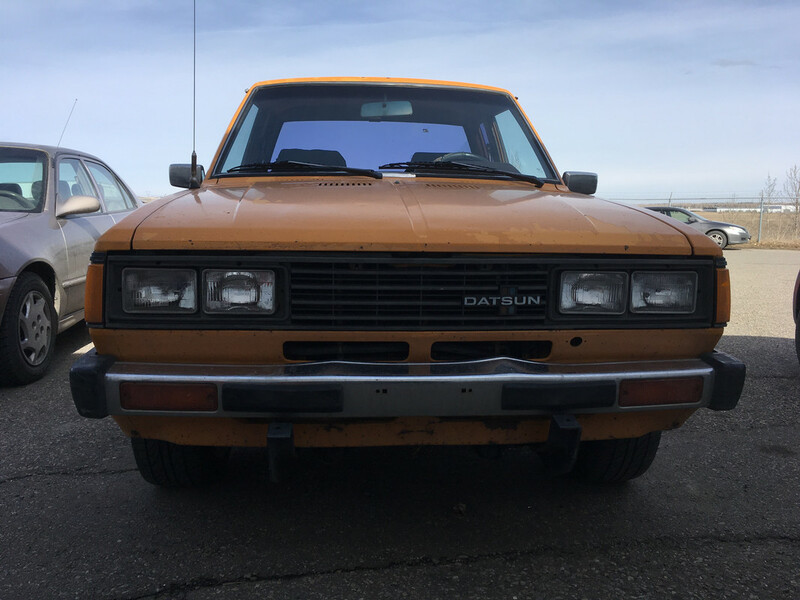 In fact, many nomenclatures related to Datsun and/or Nissan kept me wondering about its background. Two things were immediately obvious, the s/n on the dash ID plate didn't correspond to the door pillar plate. Other differences had been identified when the interior work had started. Supporting evidence, and detailed accountability through research has resurrected the mysterious and illusive origins of my automobile. Little bit of knowledge goes along way... thanks Atomic. 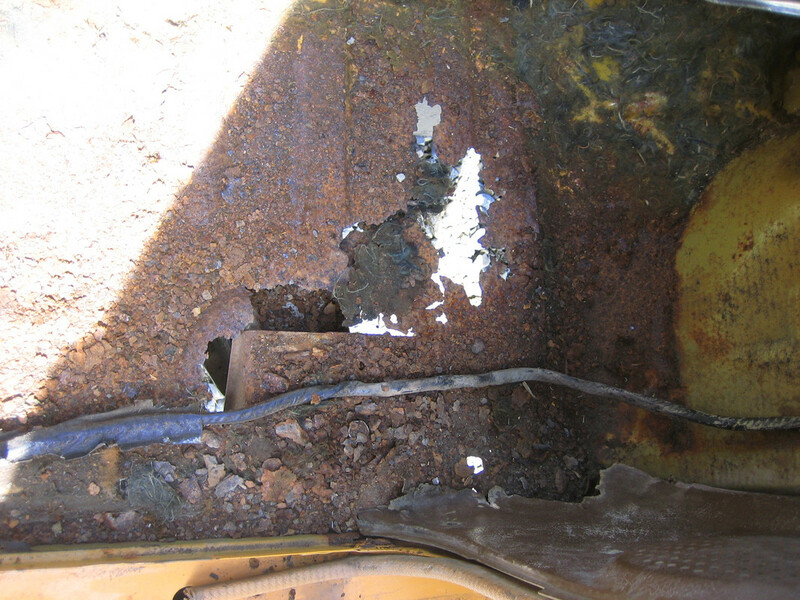 The truck was purchased after several months of pursuing the owner through his son at work. I'd seen it parked behind a Quonset on the son's average one day and decided to inquire. His father had purchased it in Arizona to drive around in when they visited there. He even installed a hitch adaptation to pull it behind his Winnebago, thus trailering it behind, too and fro Alberta, for many years. Then the traveling subsided, the truck started having mechanical issues and was parked, until many years afterward when I noticed it. 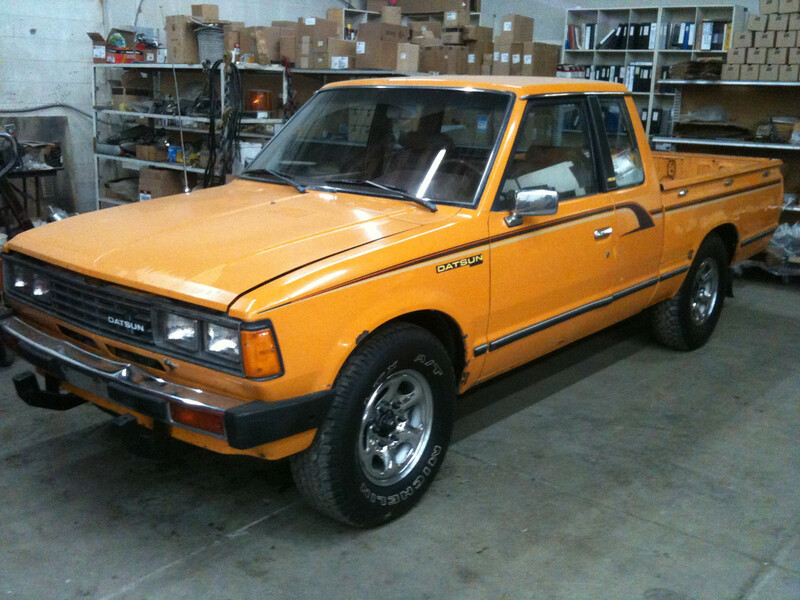 Short story longer, I aquired the truck, without any Datsun experience or knowledge. It just happened to speak to me, I guess. The condition was remarkable for the year and thus the begining of my saga. 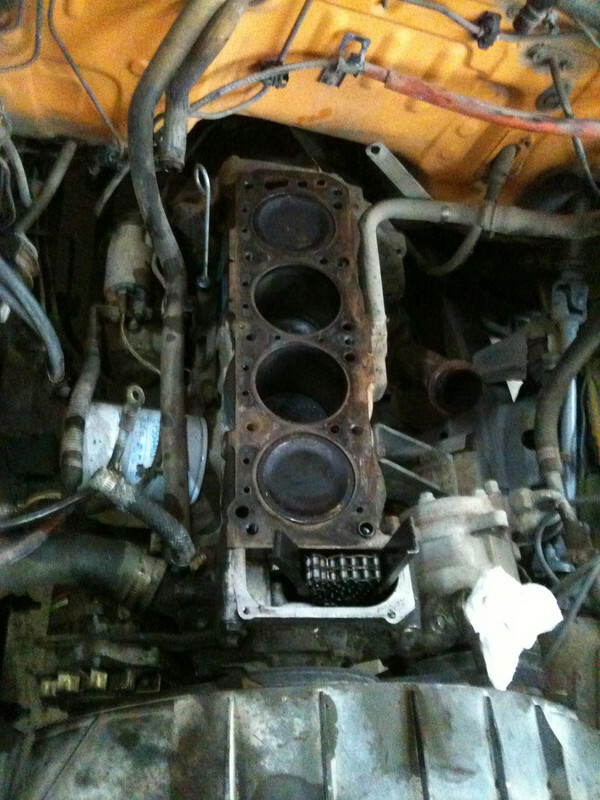 Engine bay after the head gasket was replaced. Disconnect the battery, protect labels of all kind and the alternator. 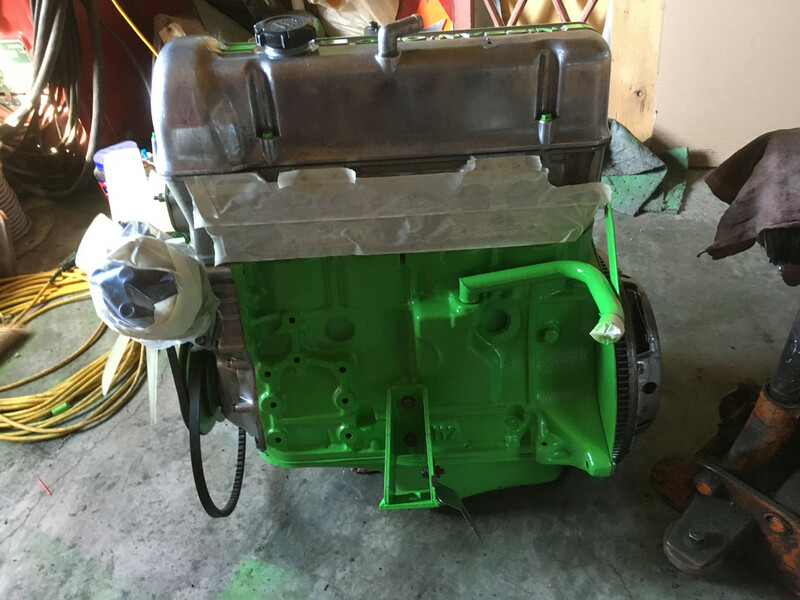 Then a bit of Simple Green, pressure wash over the engine bay and she's gonna look almost like new. 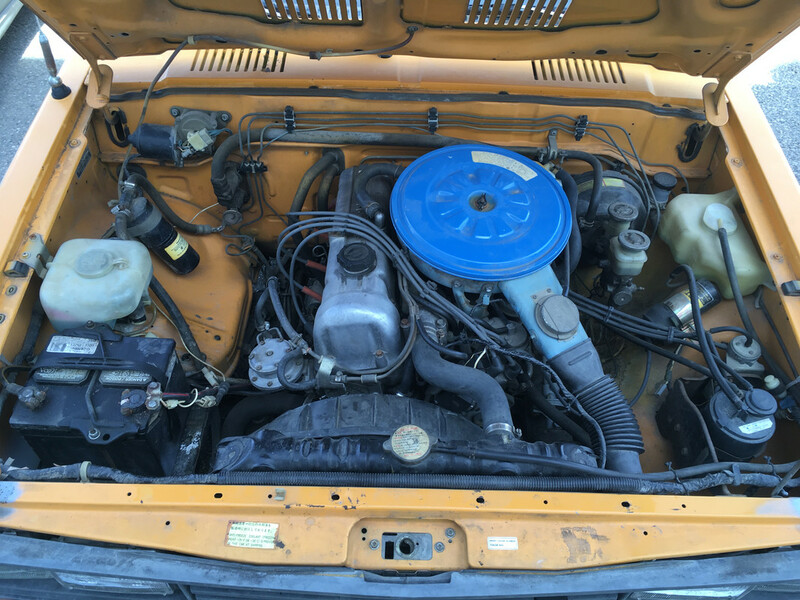 Pontiac blue is the closest off the shelf engine color. Still not prefect though. 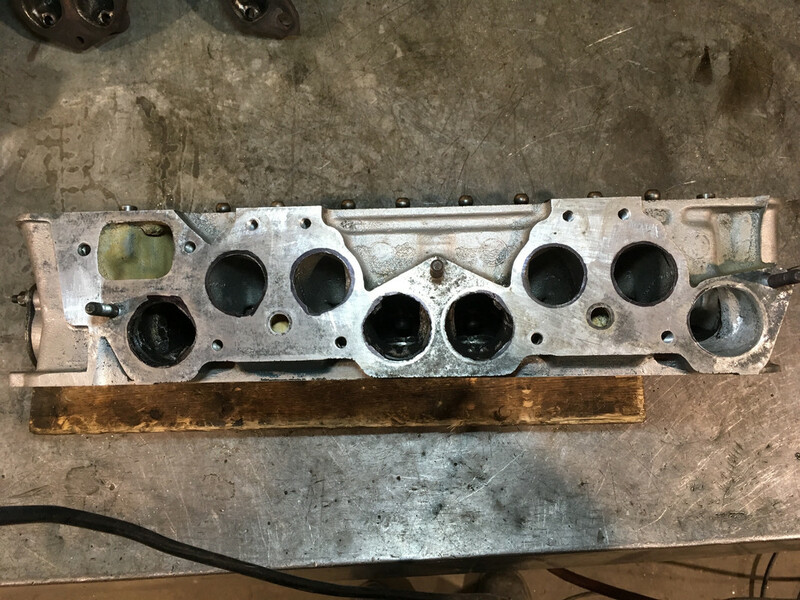 I've mentioned earlier of a head gasket repair, just to initialize its ability to travel and carry passengers, namely me. No pics however on the windshield replacement or the very unfortunate occurrance of the new windshields crisis, unless of course you can identify the results in a few certain pics. 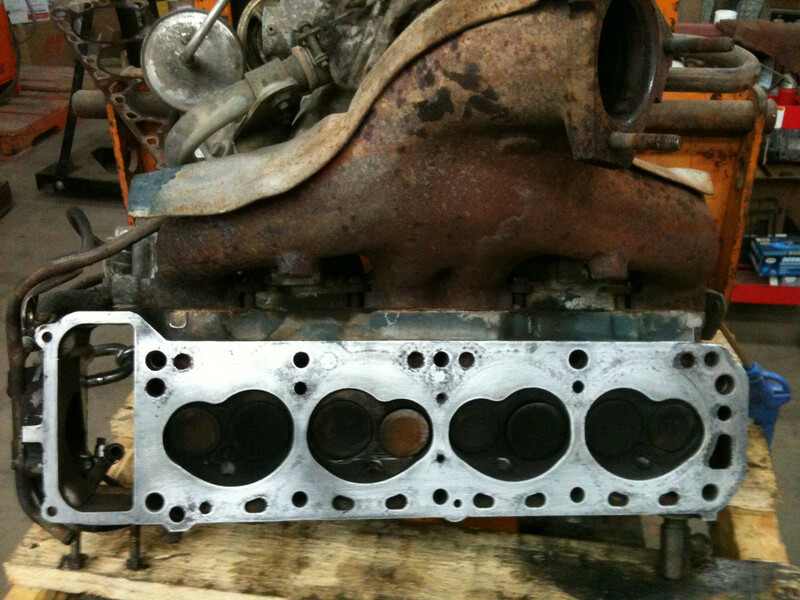 This pic illustrates the engine prior to a head gasket replacement. The air filter canister top cover had overspray from the splash job that had been done earlier in its life. The flip side, with all the anti air polution control crap. Sorry about the pic, camera was having a drink earlier. Notice the issue with the water port in the upper right corner!? 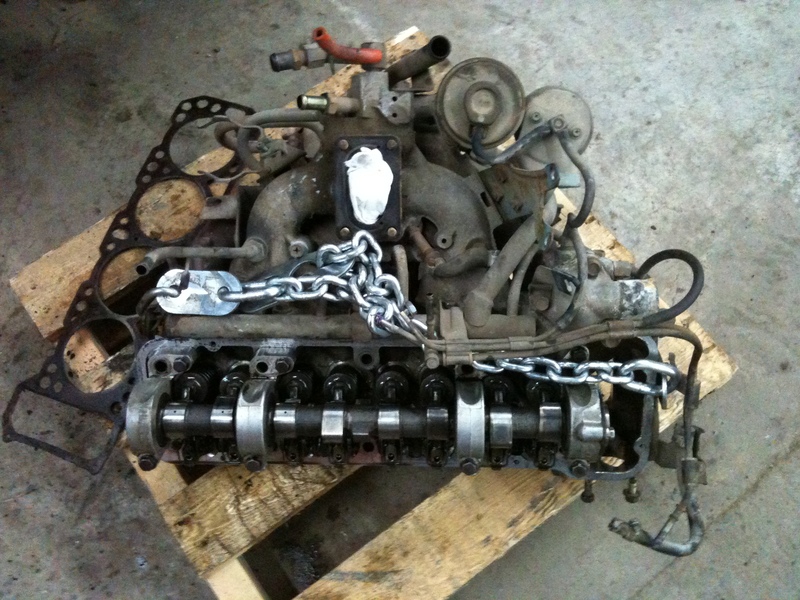 And the headless block w/o a timing chain support, oh my! Needless to say, some encounters are prone to give us wisdom. Learn by your mistakes! Timing chain stretched, identified and catalogued. A future plan is formulating! Great idea, I’ll shelf this knowledge for future reference. However, I may have mislead you and others indirectly. You see, some of these pictures and notes have all been previously done ( to a point). I’m merely negotiating my privious obstacles and enlightening (hopefully) the readers of this particular post. 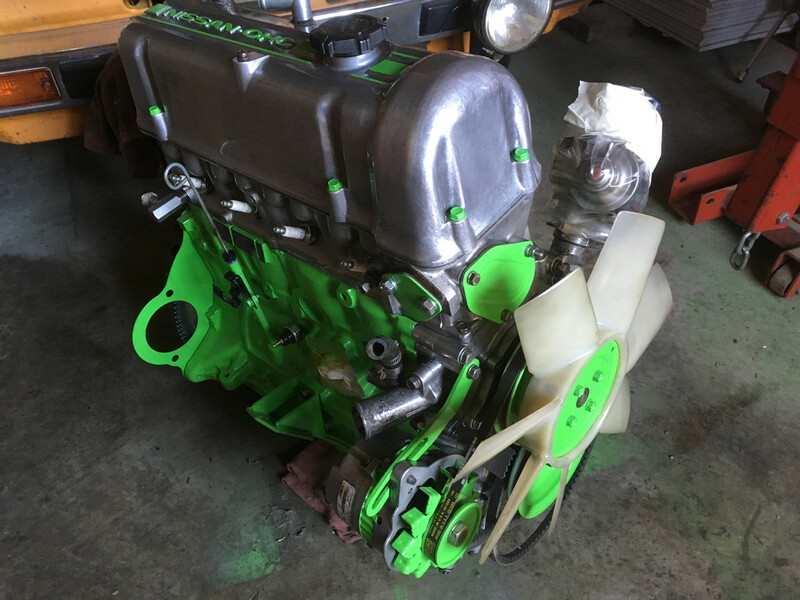 I really like this colour and have incorporated a similar shade into my engine build. The exact colour mix name is 'Smuf Blue' and I've limited the usage area to the exhaust manifold. Strange yes but with my conceptual ideas, this is part and parcel of the project. Fingers crossed. In this shot the windshield had just been replaced, the tires and rims were all selected and hand picked at the nearby 'Pick&Pull' scrapyard. Rims came off a Pathfinder. As you can discern, the front bumper has many distinquishable protrusions caused by the PO navigating his oversized Winnebago around a sharp turn while forgetting about the vehicle tagging behind him, thus the bumpers met cabeza a cabeza! A closer observation on the paint job reveals degradation throughout, but still a solid body. Once an assessment had been taken and the overall dynamics of the condition, a plan was set in motion. 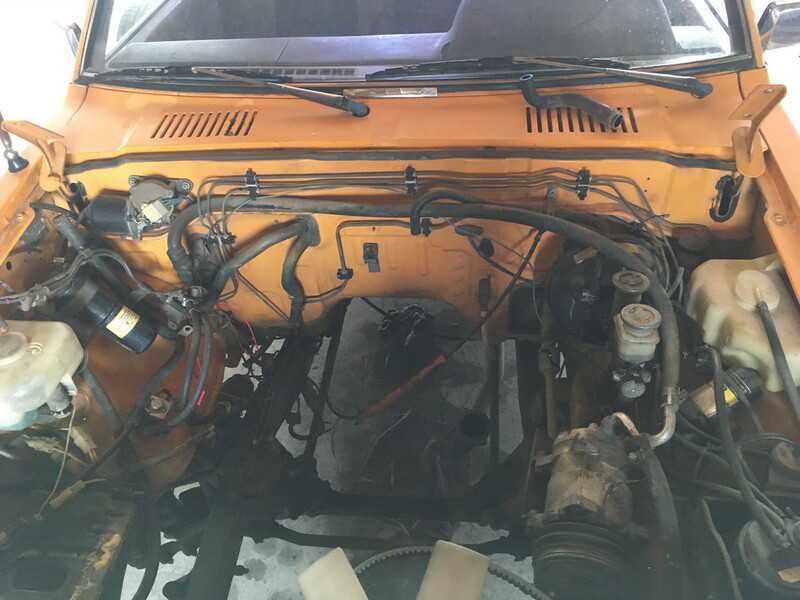 List everything according to priorities; type of repairs, parts availability and free time to facilitate repairs. In the mean time; source, accumulate, accrue and amass particular components for all projects. Note: this is NOT my daily driver. Up until recently, its primary function was to enjoy the summers and drive in a classic vehicle. 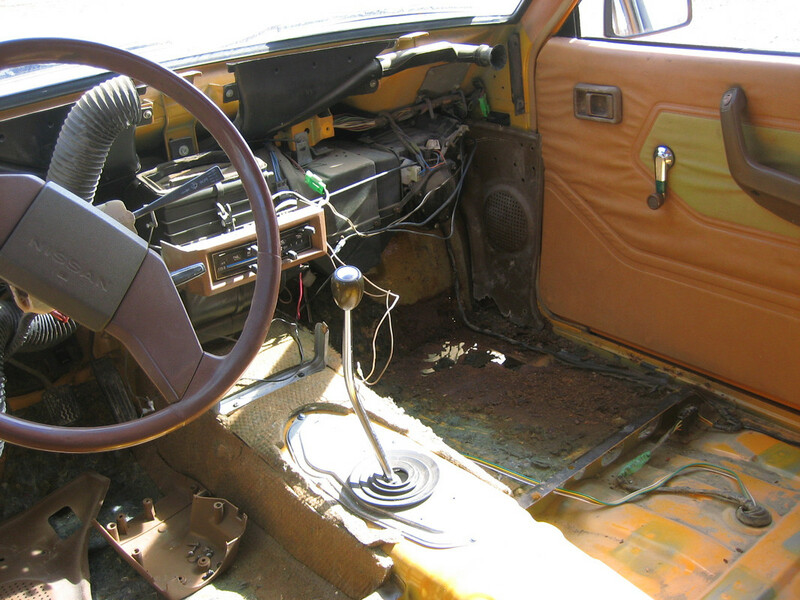 First objective, repair rust in passenger floor board, strip out cab and dash, repair all electrical issues. Just a small hole to patch on passenger side, found it when the aging carpet was lifted. 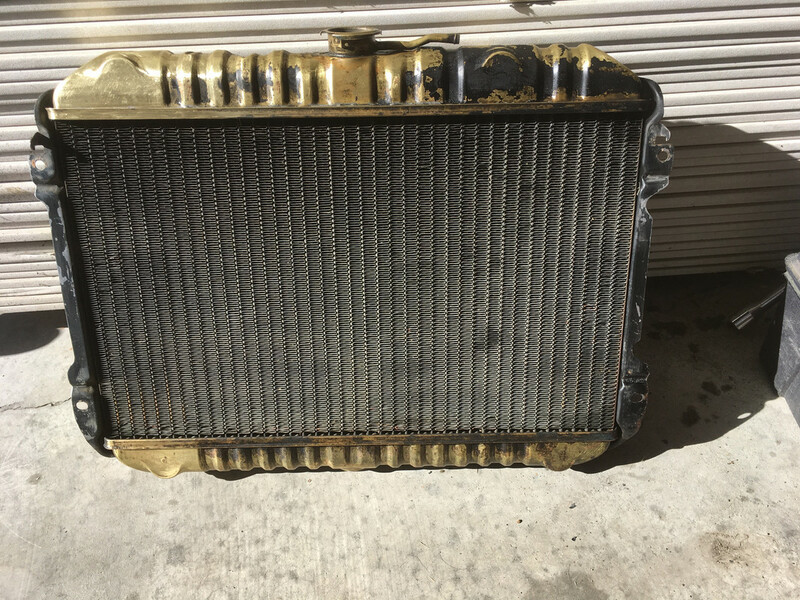 Cause is from a leaky heater core. 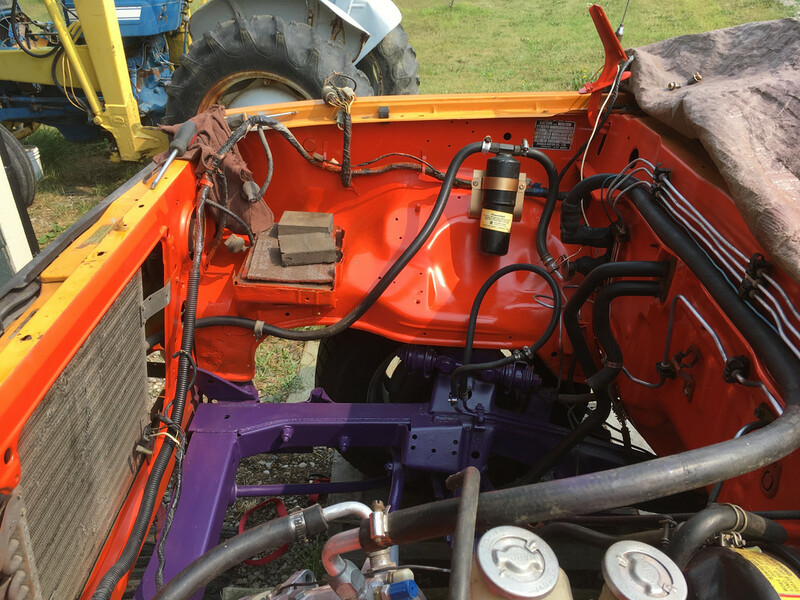 Dash removal; electrical and a/c piping issue, plus ignition tumbler keeps locking up. 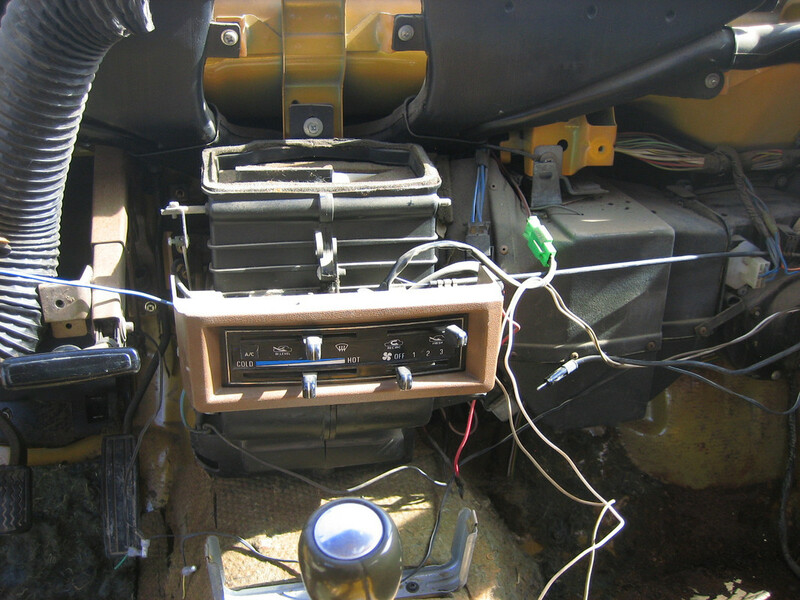 Floor repair plus an additional kick panel with speaker replacement next. Yes, the a/c does work, for a 4 cylinder. 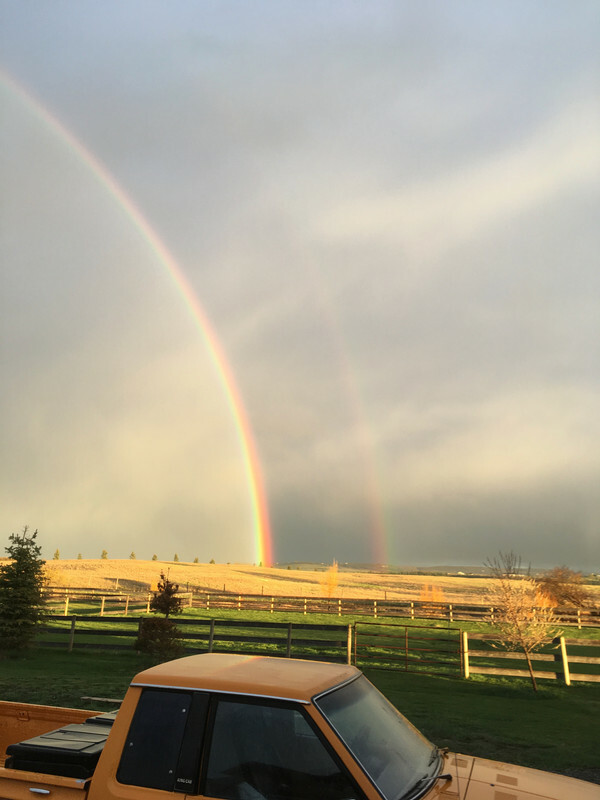 Double rainbow with my truck at the end of it! Lottery ticket time? 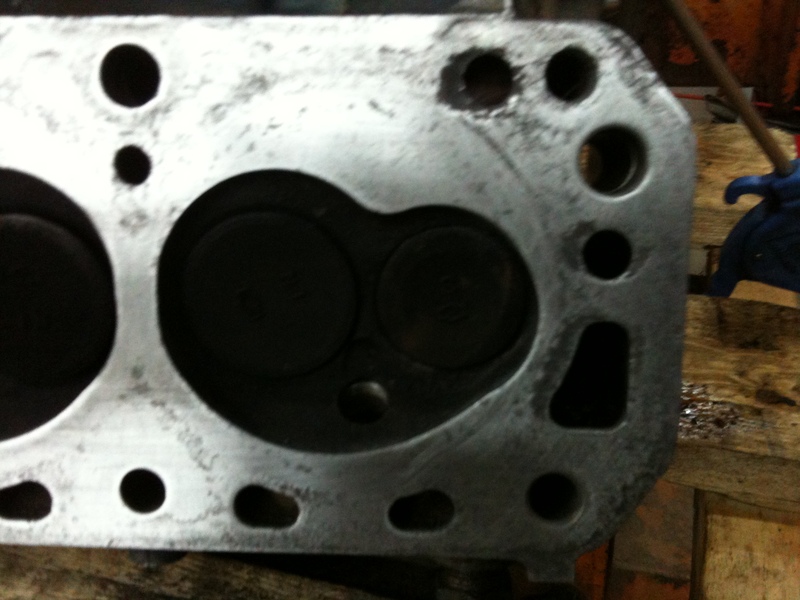 Dismantled all of the components on the cylinder head, flushed and cleaned. Removed the exhaust internal liners. Started head work. Simple preliminary grind work, nothing too fancy, yet. A rough first cut to get rid of the carbon build up and smooth out the lines. A glimpse of the runners for cylinder numbers 2 & 3 after opening them up. 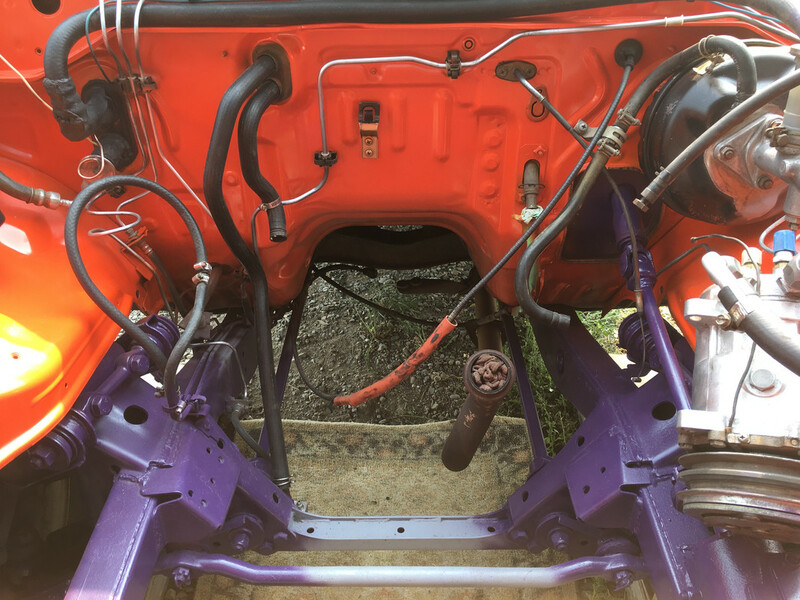 If I ran a felt pen line down the inside of the runners, I could maintain just the right amount of material removed (Exhaust hole). Watch out for the head bolt tube on the left. Intake flute. Used a finer cutting bit to hog a smoother surface. Oops, this one is out of order. Should have been #1. My bad! Nearing the final stages, not too shabby! 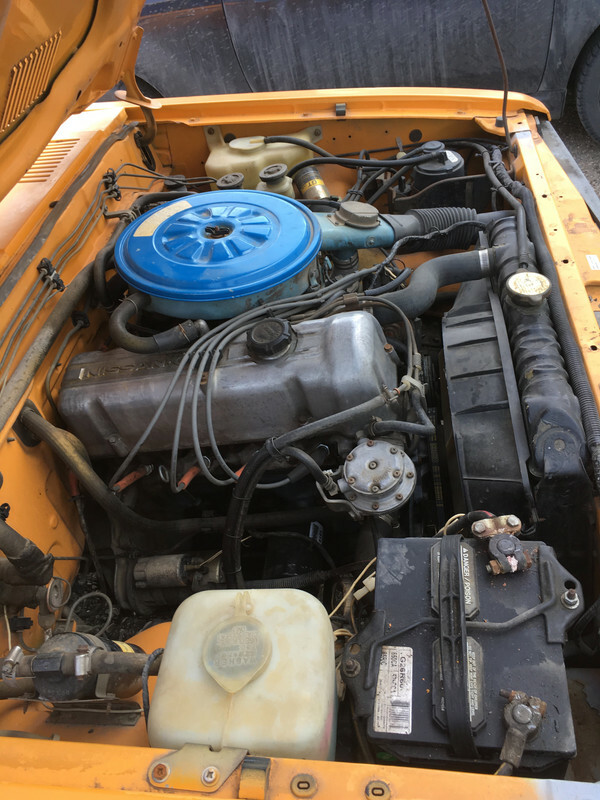 Pulled the engine to start the rebirthing of this truck. 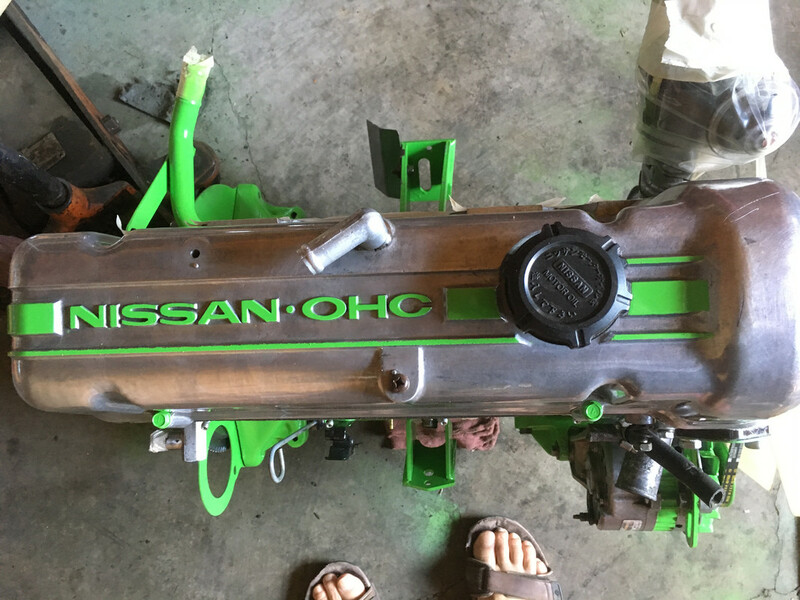 Installed the refreshed head. Time to shine, yeah! Road signs make great floor patch material. Thanks for the suggestion. Funny thing, while I was walking the pouches in the back roads, I came across what looks like reminisce of an engine under armour rock plate, just lying there, so I picked it up and used it to cover the hole in the floor board. Custom fit over the floor board hole, drilled several small holes through both metals and glued in between to seal, then riveted altogether. Quite solid, but finished off by coating the under side of the floor pan with weather resistant spray in a can. Here are some of the goodies I've aquired since this project started. Waiting for the right moment to add on. Not exactly as shown but leaving this option till last. Have another idea before this one. All of these items I bought separately but have fit them together for a visual. Not sure about the throttle linkage set up? Mock up in reverse. Will match port prior to permanent installation. 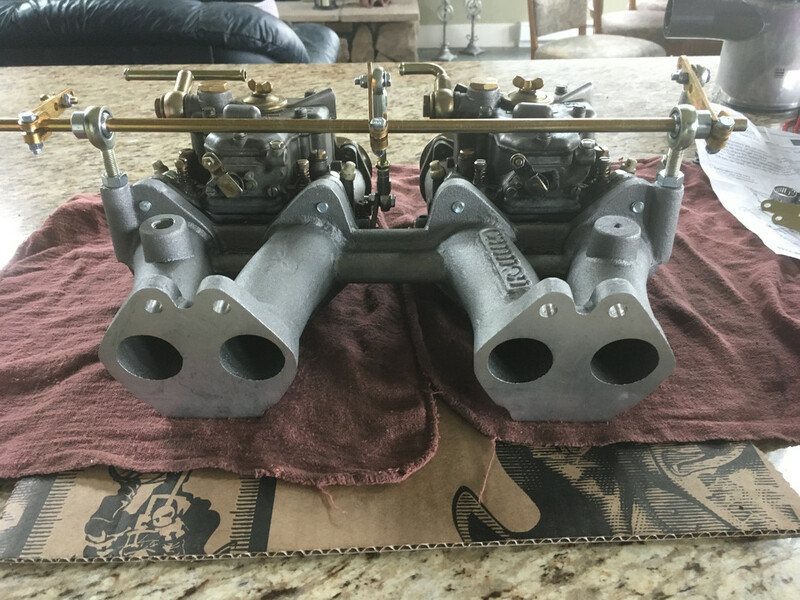 Nice set of carbs. Sorry if that sounds dirty. 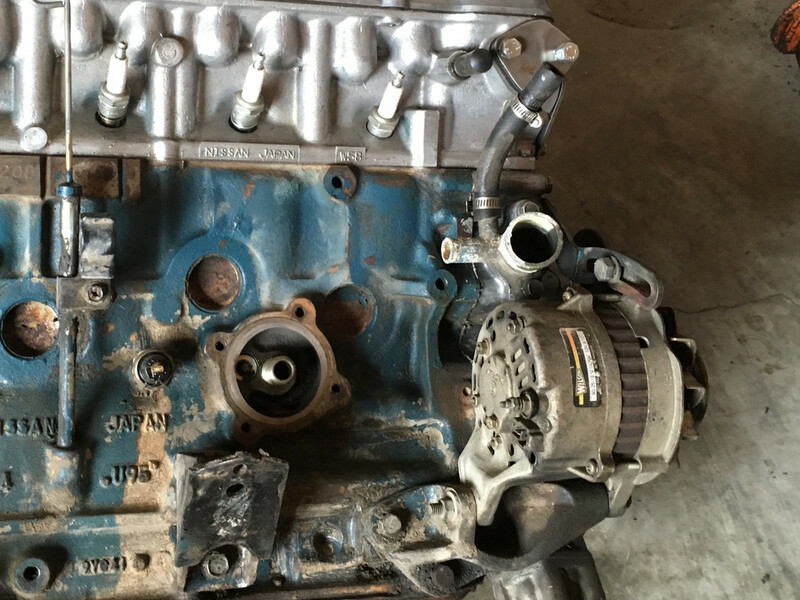 Timing chain stretch can only be determined with the head on. There is a provision in the L series design for an adjustment for this. W58 closed chamber head, I've only seen one other one. I don't think these came on the North American engines but may be off an import engine to replace a damaged original in the past. 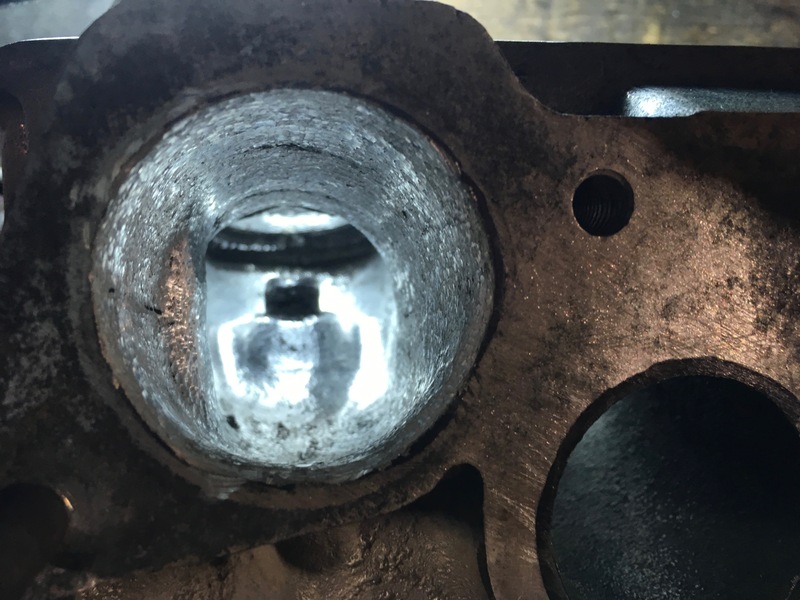 Get a new gasket and mark the limits of the openings with a felt pen on the intakes and the exhaust ports. Grind away and smooth in an inch or so to blend. 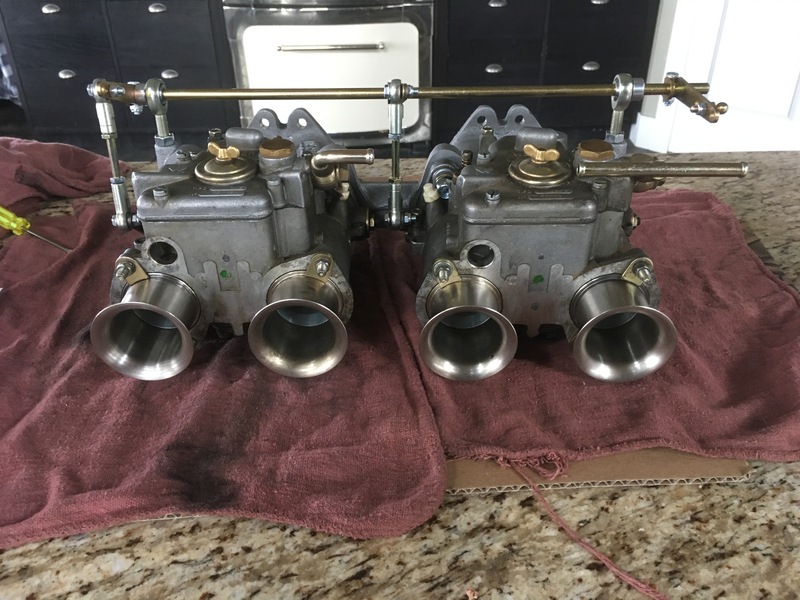 Now do the same with the intake and exhaust manifolds for a seamless fit when joined. 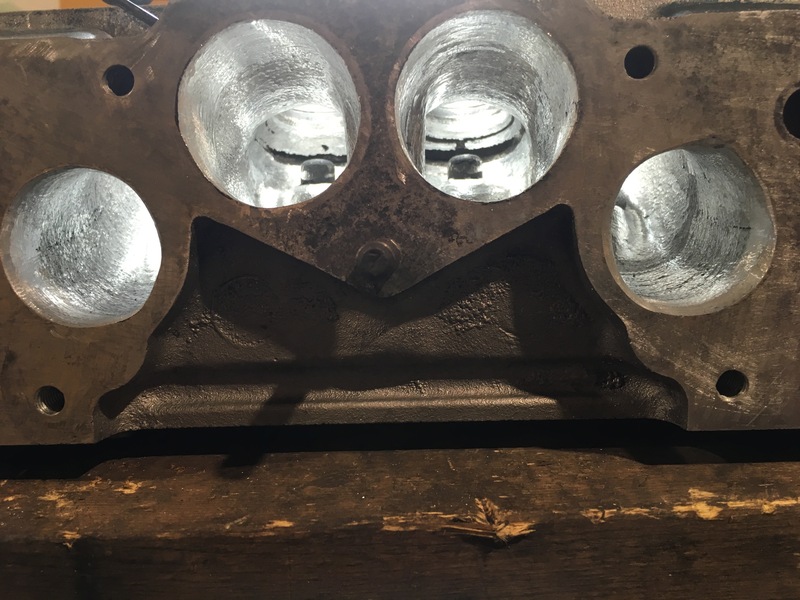 Valve seats are very pitted unless doing a valve job wouldn't hurt to lap them . 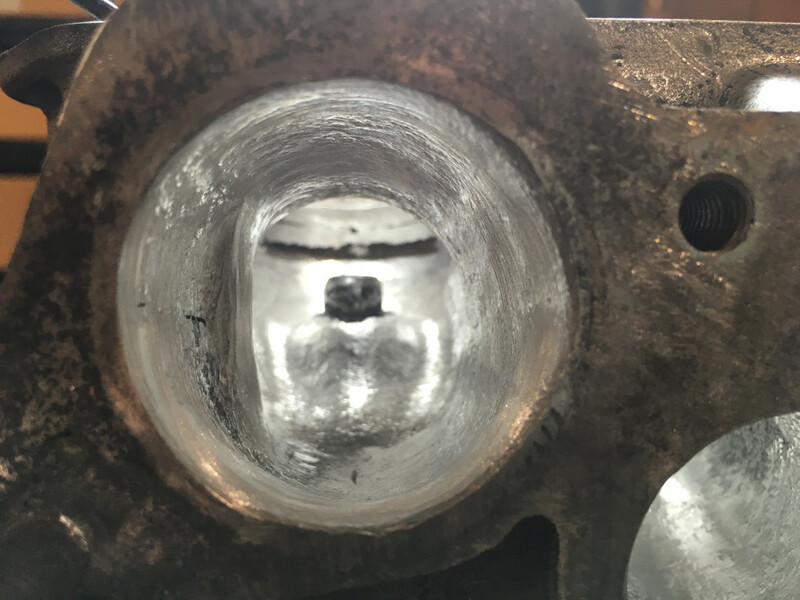 The erosion of the head around the coolant openings is from not running a good antifreeze mixture and keeping it changed every 3 years. Carbs can get down and dirty sometimes but they sound awesome! Before the head came off a measurement had been taken. 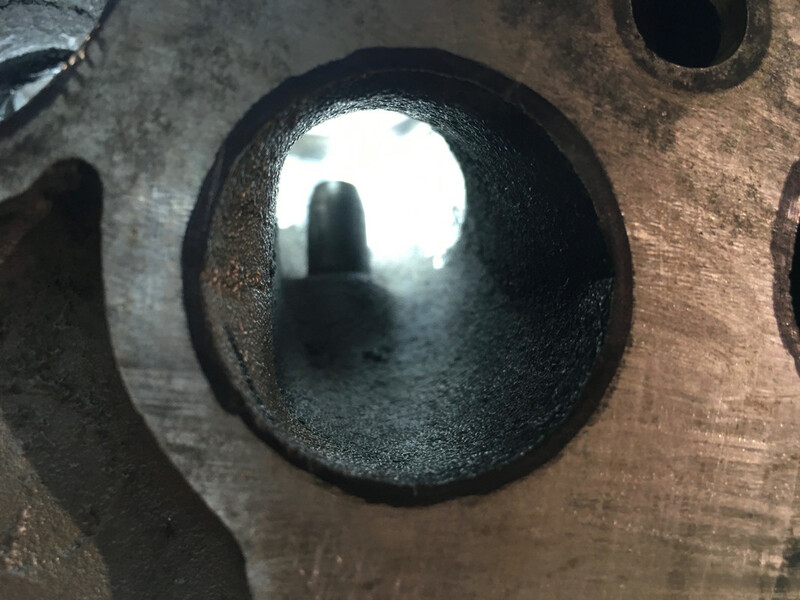 I knew a replacement was in order because the thrust plate's oblong groove was too far left of the camshaft sprocket notch plus there was serious chatter noise in the front timing cover too. 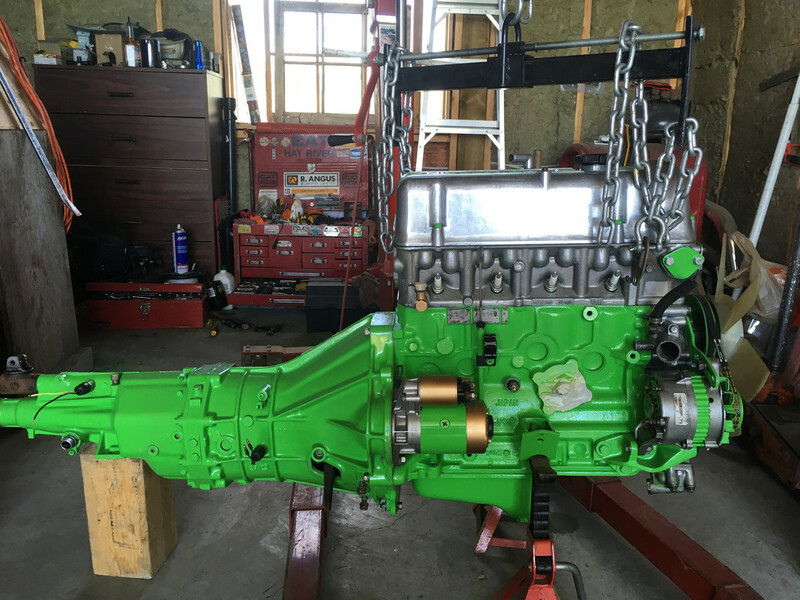 Found out it needed a complete timing kit, chain guides were done as well. This truck had migrated north from AZ, where it was previously purchased, so anything was possible. 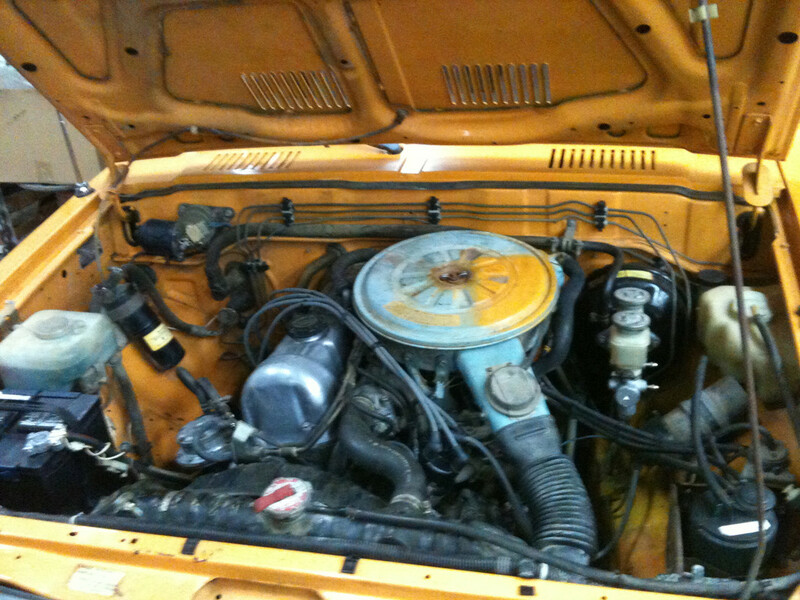 Being an AZ vehicle, antifreeze or ordinary coolant could needlessly be forgotten about. I had been very careful NOT to grind too much away near the portal openings, fearing I'd create a grotesquely enlarged ballon like bulge. Much like you'd see in a snake after it ate a meal. 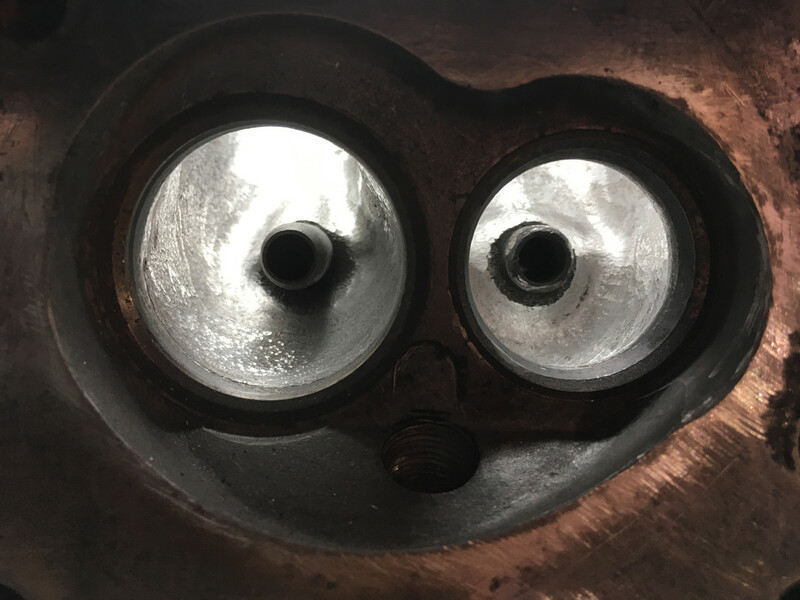 A complete refresh and valve change was done. Just thinking about changing up the cam to a better performance type. For now, it's a wait and see. Thank you for all your wisdom and input. I do not take things lightly and you have definitely helped me in the past. Many thank you's again Mike. 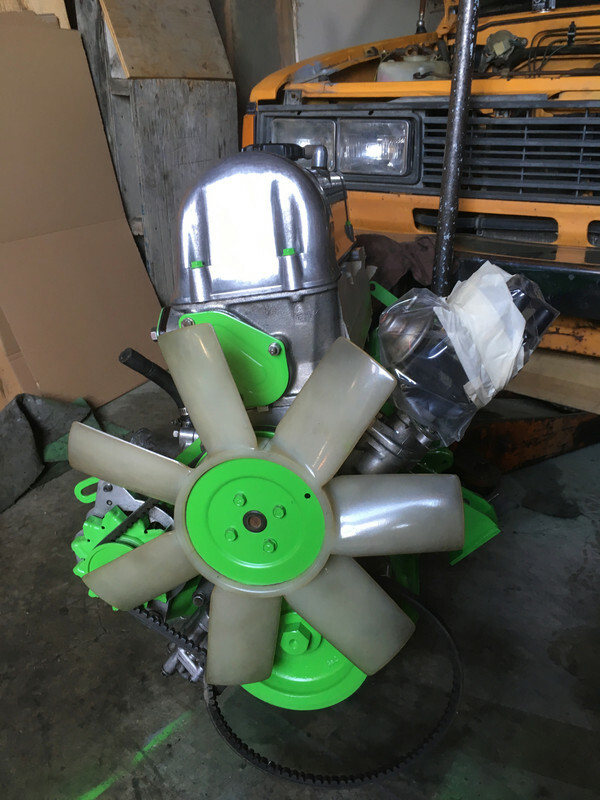 I totally concur with you on the importance of coolant, especially in engines with different types of metals. I had no intent of upsetting those individuals whom are adamant in the protection of their most prized possessions. Let me rephrase my comment; 'Not all owners take care of their vehicles (obviously) and therefore neglect or forget about scheduled maintenance which may cause cataclysmic damage to internal components'. I'm positive that the truck I acquired had been left unattended for long periods of time, a given fact that the p/o was a snowbird. 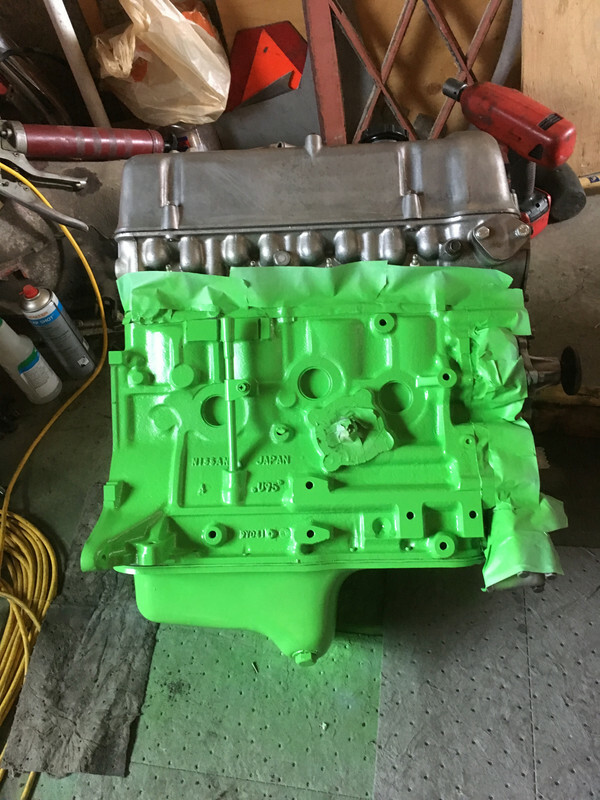 After engine striping, cleaning, prepping and taping, it was time for painting the block. 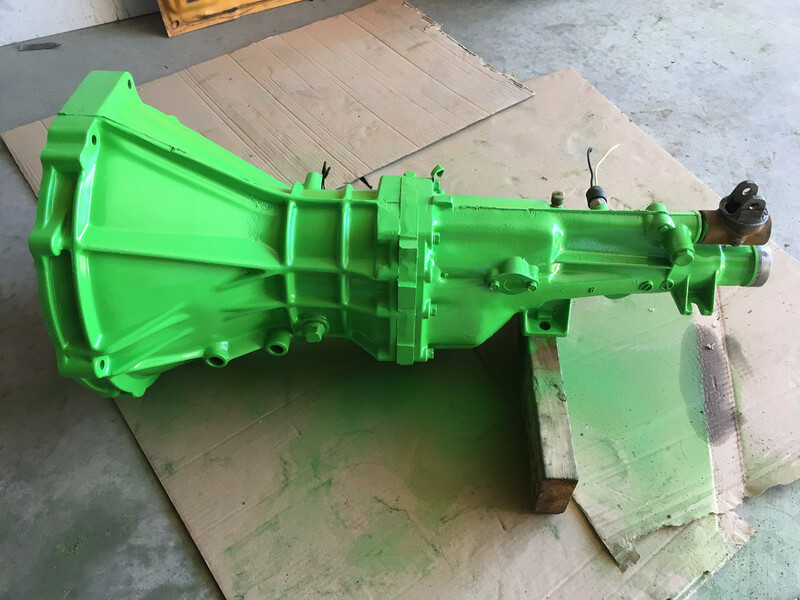 Oh, that colour is Grabber Green! 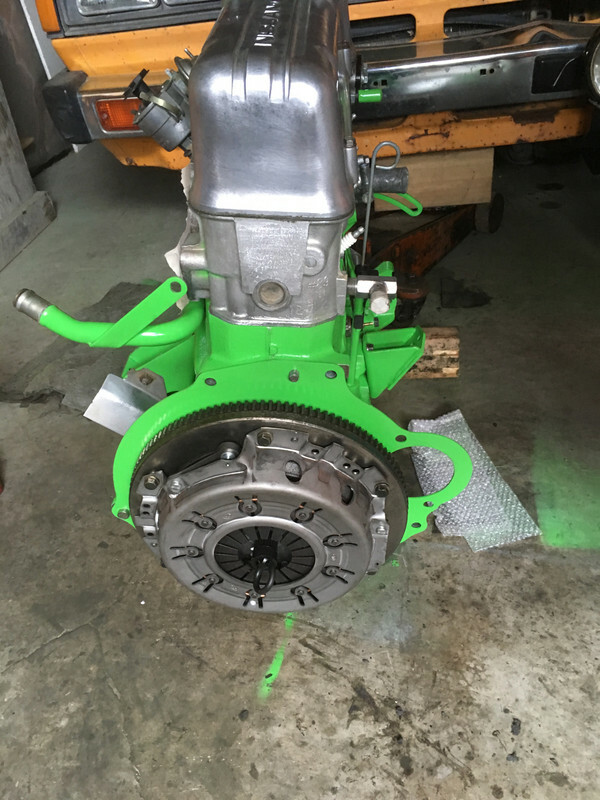 Installed backing plate, ground and resurfaced flywheel, replaced and attached new clutch assembly. Started accenting and attaching different components. Driver's side snap shot. Wondering what to do with that vent tube, it seems unnecessary? 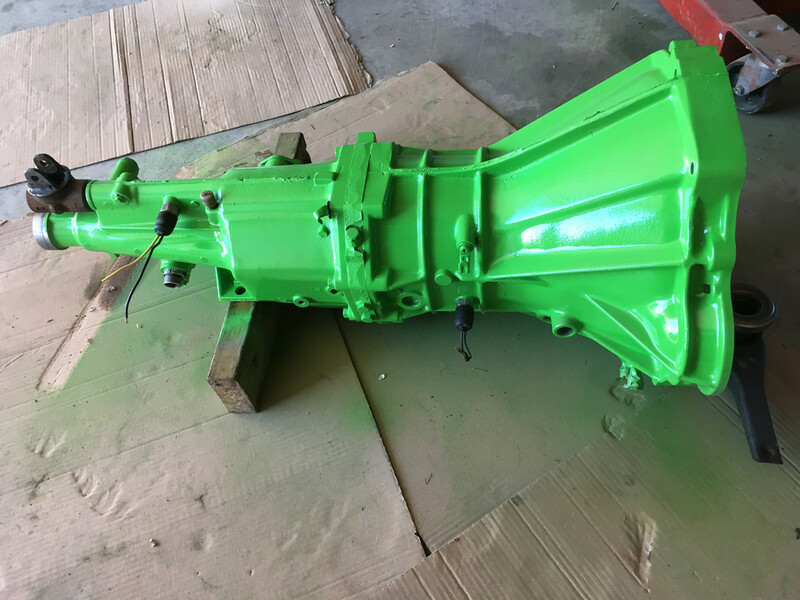 Next item up, the transmission seals replacement and additional repairs to it. Mega tailoring to remove road rash grime prior to painting, plus additional replacement of all seals in the back end. Backup switch wiring was disconnected at terminal base, repaired. 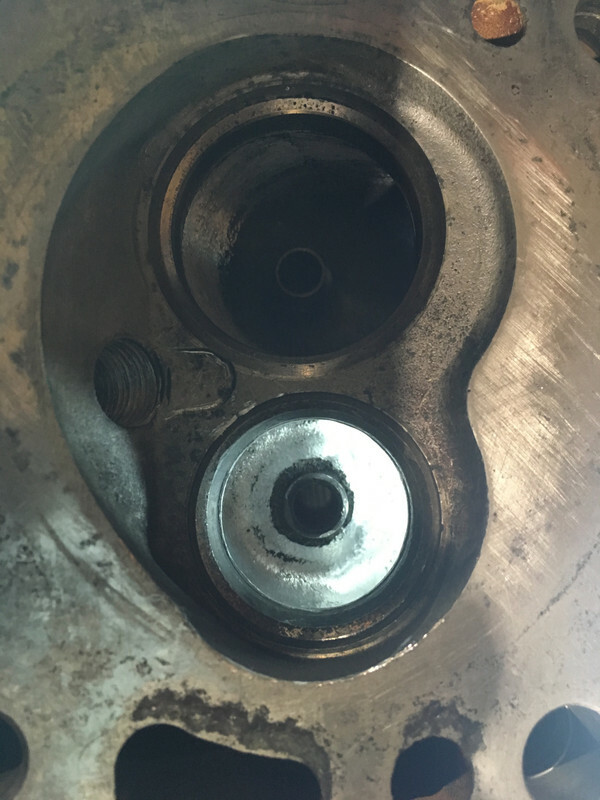 Pilot bushing (engine) and throw out bearing replaced, too. Mating season has begun! Added more refashioned peripheral components. 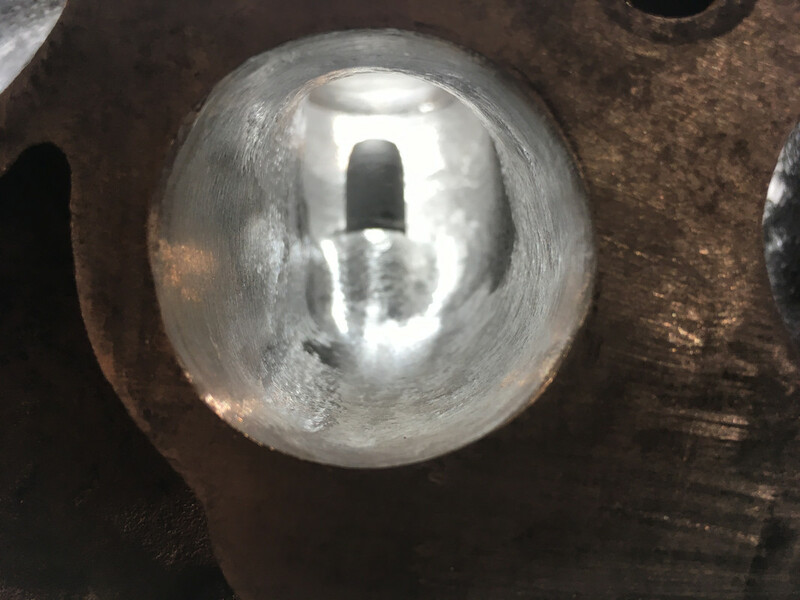 Clutch lever dust boot on order. 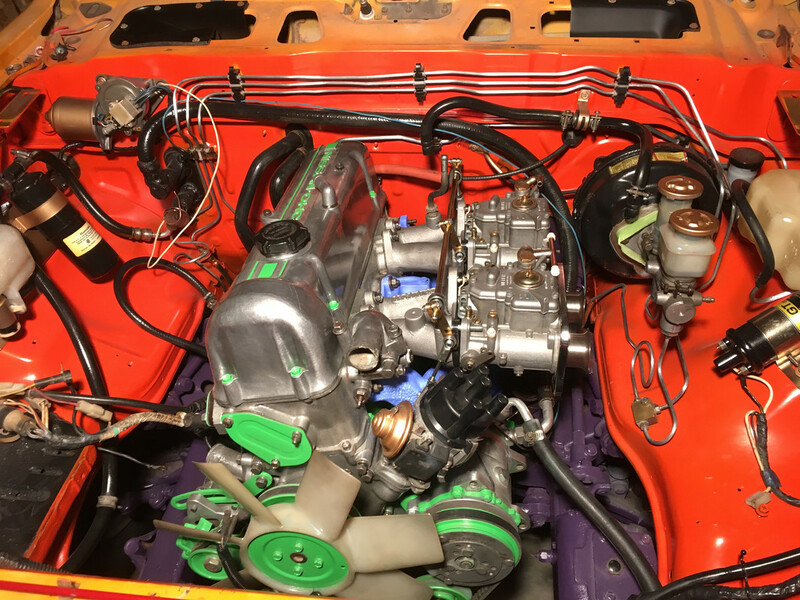 Engine bay work. Pressure washed, degreased and sanded. Multiple ideas at this point but the main plan is the paint contrast aspect. Will sort out some wiring - cleaner lines and more trivial detailing. Contemplating how much OEM stuff I should carry forward. On a torpid stance... not 100% sold on this shade of Orange but will risk a gamble. Alas, the heartbeat has been transplanted! Multiple issues has surfaced, will address them simultaneously. 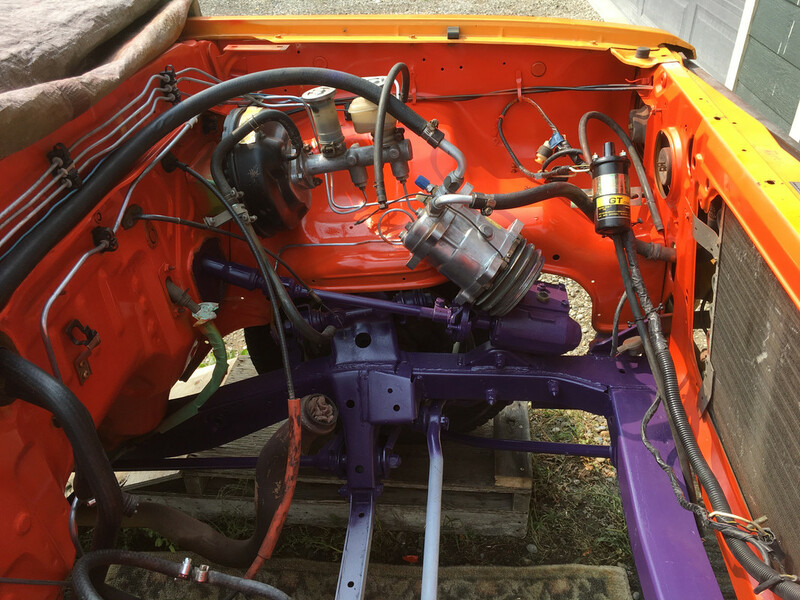 1st; zero space on the rearward carb, between air filter and brake booster.